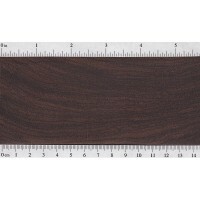 Color/Appearance: Heartwood of East Indian Rosewood can vary from a golden brown to a deep purplish brown, with darker brown streaks. 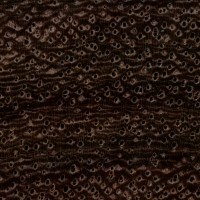 The wood darkens with age, usually becoming a deep brown. Grain/Texture: Has a medium texture and fairly small pores. The grain is usually narrowly interlocked. 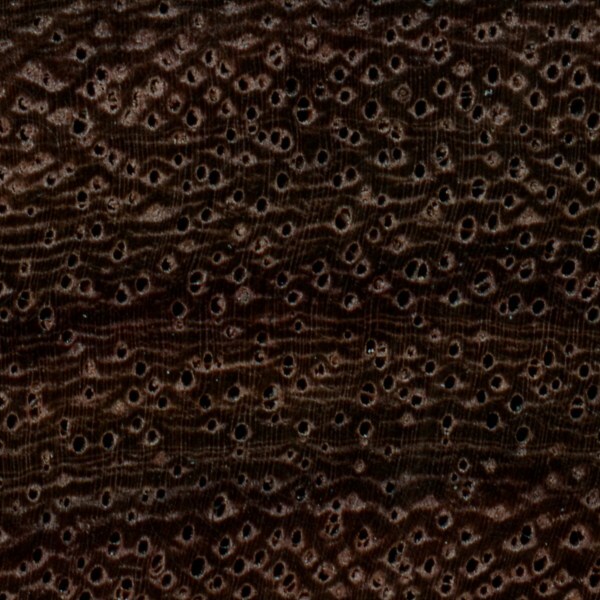 Endgrain: Diffuse-porous; medium to large pores in no specific arrangement, very few to few; solitary and radial multiples of 2-3; heartwood deposits (dark brown) occasionally present; narrow rays not visible without lens, normal to fairly close spacing; parenchyma banded, vasicentric, lozenge, winged, and confluent. 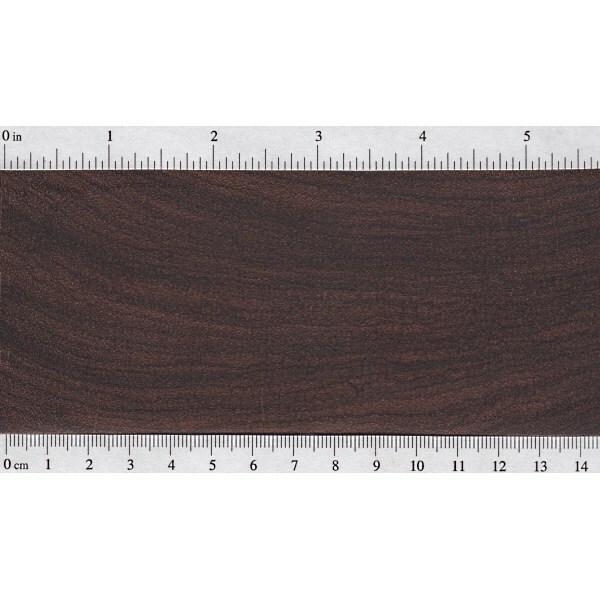 Rot Resistance: Rated as very durable and resistant to termite attack. 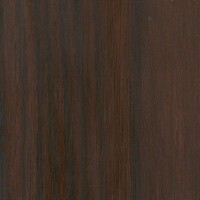 Workability: East Indian Rosewood can be difficult to work with tools because of its interlocked grain and density. 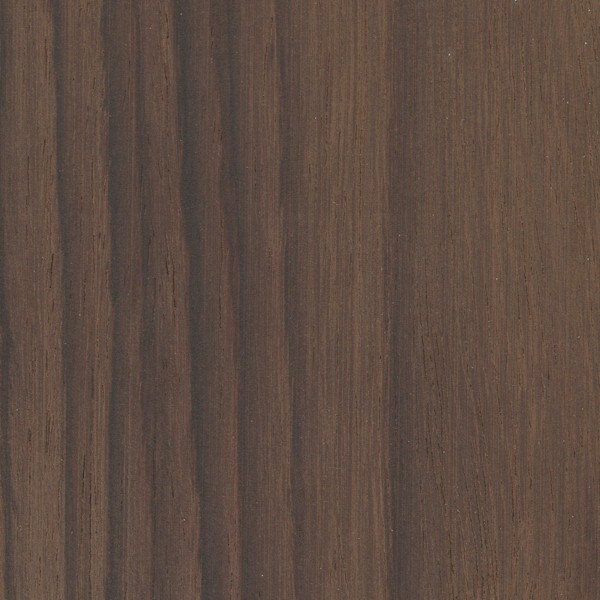 The wood can sometimes contain chalky deposits that will rapidly dull cutting edges. Glues and finishes well, though color from the wood’s natural resins can inadvertently bleed onto surrounding surfaces when applying a finish, so care must be taken on the initial seal coats. Odor: Has a distinct, rose-like scent when being worked; some find its scent less pleasant than other Dalbergia rosewoods. 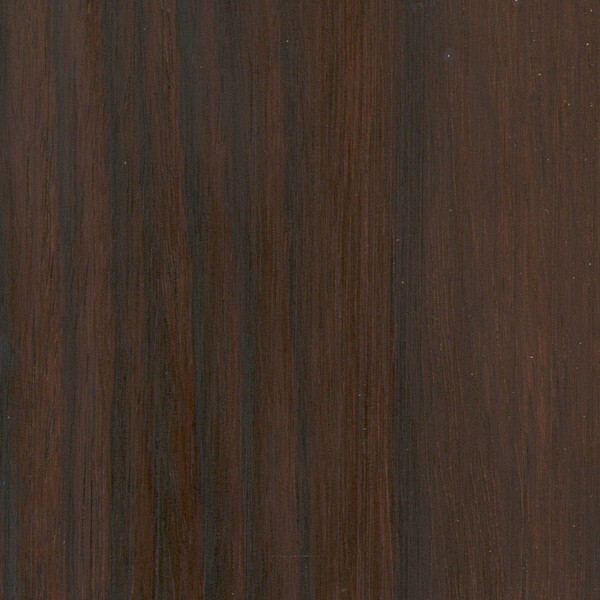 Allergies/Toxicity: Although severe reactions are somewhat uncommon, East Indian Rosewood has been reported as a sensitizer. Usually the most common reaction is skin irritation. See the articles Wood Allergies and Toxicity and Wood Dust Safety for more information. Pricing/Availability: Generally good availability in both board and turning blank form. Expect prices to be high for an imported hardwood, though not as prohibitively high as some of the scarcer rosewoods. 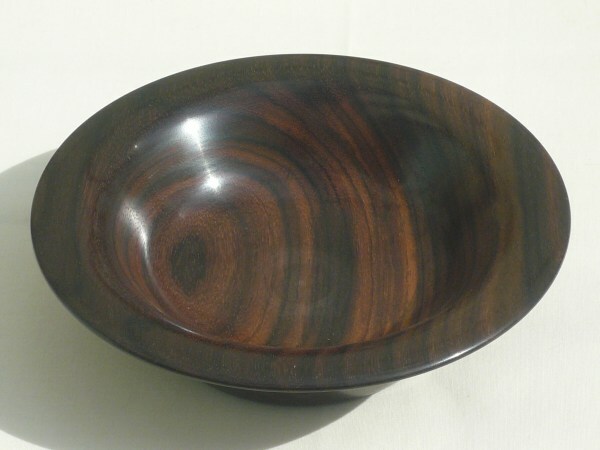 Sustainability: East Indian Rosewood is listed on CITES appendix II under the genus-wide restriction on all Dalbergia species—which also includes finished products made of the wood. It is also listed on the IUCN Red List as vulnerable due to a population reduction of over 20% in the past three generations, caused by a decline in its natural range, and exploitation. 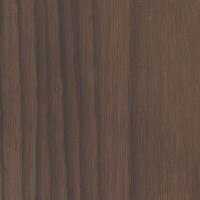 Common Uses: Fine furniture, musical instruments, veneer, turned and other specialty wood objects. Comments: East Indian Rosewood has been used extensively on acoustic guitars since the mid 1960s as a substitute for the now-endangered Brazilian Rosewood. Scans/Pictures: A special thanks to Steve Earis for providing the wood sample (endgrain) and turned photo of this wood species. Here in the United States, the phrase “East Indian” is usually used to distinguish it from the more generic term “Indian” — which is more ambiguous and can sometimes simply mean “native American” and may refer to indigenous peoples found in the Americas. The “East” is added to specify “Indian” in terms of Asia versus America. As of January, 2017, East Indian Rosewood, like most of our treasured Rosewoods, has been stamped onto the list of restricted woods for exportation by the Indian Government. Gone now are yet two more of these valuable woods: East Indian Rosewood and Sissoo. Does this wood have a sparkle in the sun? I came across some wood from Indonesia sold as rot resistant plant stakes in 3/4″ square 6-foot stakes which works beautifully as xylophone keys. The other desirable quality in xylophone wood is low notes vs high pingy woods. My indonesian wood came in low toned compared to Sapele and especially Cedar. My sparkly Indonesian wood isn’t terribly heavy though it does polish up silky smooth like a beautiful tropical hardwood in rich browns. It seems to have coarse squarish reflective qualities in the sun, at least when roughly sanded. East Indian Rosewood was uncomplicated to work with however, I noticed a red rash on the insides of my wrists and forearms. I now use gloves and long sleeves when sanding with this wood.